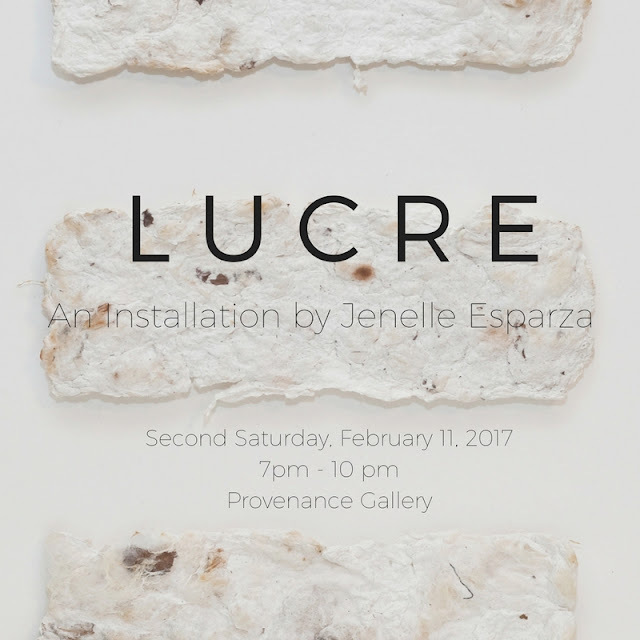 Provenance Gallery is pleased to present, LUCRE, an installation featuring recent work by Jenelle Esparza. In a continuation of Esparza’s work with cotton, Lucre will be comprised of approximately 250 pieces of handmade cotton paper money, various found objects, and graphite drawings. The focus of this installation is the fiber itself, the hands it passes through, and the money that passes in all directions. Jenelle Esparza is a photographer originally from Corpus Christi, Texas. Though primarily a photographer, Esparza also works in multi-media installation and creates abstract photo-based pieces. She received her BFA in photography from the University of Texas at San Antonio in 2010 and continues to exhibit annually. She was recently awarded the 2015 NALAC (Nat’l Association of Latino Arts and Culture) Artist Grant for her project ‘El Color de la Obra’ on Latinos in the South Texas cotton industry. She has exhibited nationally and currently manages her photography studio working for local artists and arts organizations. Exhibition will be on view until February 26th, by appointment.